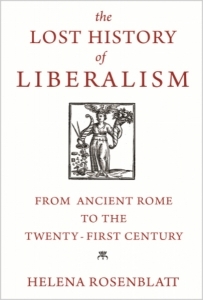 In The Lost History of Liberalism: From Ancient Rome to the Twenty-First Century, Helena Rosenblatt gives an account of how the meanings of ‘liberalism’ have evolved through a world history of its uses from ancient Rome to the present day and also recovers some of its connotations that have been lost, discarded or eroded. This book challenges some of the assumptions held about liberalism and reveals the historical foundations of why it may well be, above all, an elusive tradition, writes Alex Tebble. The Lost History of Liberalism: From Ancient Rome to the Twenty-First Century. Helena Rosenblatt. Princeton University Press. 2018. What we assume liberalism to mean can often obscure more than it clarifies. From the crudest individualism to the most intrusive collectivism, many ‘true’ liberalisms are distinguished from some ill-fated perversion or façade. It is an omnipresent term used not only to describe a variety of incompatible and incommensurable meanings, but also to both revere and revile those meanings with equal ferocity: ‘it’s morally lax and hedonistic, if not racist, sexist, and imperialist’, and yet responsible for a great deal that is politically valuable within ‘our ideas of fairness, social justice, freedom, and equality’ (1). The Lost History of Liberalism aims to illuminate what the word meant to those who originally used the term and gives an account of how those meanings have evolved through a ‘world history’ of its uses from ancient Rome to the twenty-first century—an ambitious scope for a relatively short book. Helena Rosenblatt suggests ‘we are muddled by what we mean by liberalism’, and that we frequently ‘talk past each other, precluding any possibility of reasonable debate’. To provide some clarity and grounding, Rosenblatt aims to neither attack nor defend liberalism, ‘but to ascertain its meaning and trace its transformation over time’ (1-2). Rosenblatt begins with what it meant to be liberal. 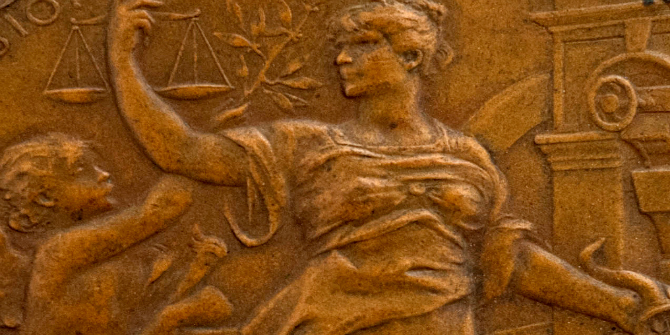 Demonstrating ‘the virtues of a citizen, showing devotion to the common good, and respecting the importance of mutual connectedness’ were indicative of the term. Both duty and self-discipline were necessary requirements for the moral fortitude of a liberal character (8-9). From the aristocratic ethos of Cicero and Seneca, we are taken on a swift tour of the Christianisation, democratisation and politicisation of liberal virtue. From St. Augustine and Thomas Aquinas, to the Spanish and Italian renaissance humanists to Machiavelli, Montaigne, John Donne, the Earl of Shaftesbury, Jean-Jacques Rousseau, Adam Ferguson and Adam Smith, we find an overview of the evolution of what it meant to be a liberal citizen in terms of virtue, education and civility. The familiar liberal hero John Locke is briefly mentioned, but only in relation to the meaning of a liberal education,­ rather than the innate right of individuals to pursue their life and liberty as they see fit with which his name came to be associated. As a pre-history of liberalism, ‘by the mid-seventeenth century Europeans had been calling liberality a necessary virtue for more than two thousand years. If ever there was a liberal tradition this was it’ (19). The Lost History not only gives an account of the different meanings that have been ascribed to liberalism and evoked in its uses, but recovers some of those meanings that have been eclipsed, distorted and eroded. Rosenblatt intends to steer clear of historical anachronism, the common pitfall made by those who ‘stipulate a personal definition’ and shape the past through the lens of the present by ‘construct[ing] a history that supports it’ (2-3). Rather than the Anglo-American tradition that has come to be indicative of the term, Rosenblatt turns our attention away from this twentieth-century construction primarily toward the Franco-Prussian origins of liberalism: in nineteenth-century French and German reflections on the American and French Revolutions. Here we find a liberalism of a different hue. Rather than an atomistic individualism concerned with the rights and interests of those individuals, we find liberals concerned with social justice, civic values and the moral development of communities. Where rights were spoken of, they went hand in hand with duties—often as a prerequisite for rights. These liberals were not free-market fundamentalists, but self-avowed moralists. The bulk of the book explores how liberal ideals came to be distinguished from—but not wholly separate to—a tradition of liberal virtue. Rosenblatt emphasises the key roles played by Marquis de Lafayette, Madame de Staël and Benjamin Constant in setting out influential articulations of liberal ideas, sentiments and constitutions. Liberalism, on this account, was ‘forged in an effort to safeguard the achievements of the French Revolution and to protect them from the forces of extremism’—against accusations of illiberalism from Edmund Burke—by prioritising the rule of law, personal freedoms and public morality (52, 66). These were fundamental to liberalism as a wider political and moral doctrine. As Rosenblatt has previously explored, Constant’s liberalism held a close relationship to religion and an ambivalent one to democracy—a reversal of the relationships we might have come to expect. Early liberals were keen to avoid too close ties to a volatile force that threatened to undermine public morality and the political institutions necessary for upholding the personal freedom required for such moral development. The book then follows liberalism’s continental contortions as liberals tried to restate and distinguish their views following the 1848 revolutions and the rise of socialism. Liberals often committed to more collectivist and interventionist ideals —never wholly nor uniformly committing to laissez-faire—in an effort to cultivate the moral character of the majority. This, however, partly led to the darker sides of liberalism in the elitist, imperialist and eugenic territory which some of its key figures tread. In an interesting and informative read, the book covers an impressive scope of material. Whilst at times due to its relative shortness the book cannot always fully illuminate why liberalism held a particular meaning at one moment for an orator—to see things their way, to borrow Quentin Skinner’s phrase—or the tensions and ambiguities within these, it nonetheless maps a clear range of meanings that liberalism historically held, showing the gaps between what these proto-liberals might have meant and what we assume liberalism to mean. Rosenblatt then briefly turns to how this history was lost. Whilst the meaning of liberalism continued to be hotly contested, its grounding became no longer associated with its French and German heritage. Between two World Wars, Carl Schmitt, Hannah Arendt, John Dewey, Isaiah Berlin and Friedrich Hayek contributed towards purging liberalism of connotations of duty, patriotism and self-sacrifice—gladly, for some liberals, in the context of the totalitarian threat. This shifted liberalism toward a more individualistic and rights-orientated framework with a British heritage, in contradistinction to a now supposed French and German illiberalism. But out with the bathwater went generosity, virtue, the common good, the state as a promoter of that common good and a communal ethical life. Rosenblatt ends by suggesting our task is one of reconnecting with and finding conviction in the resources of this lost liberal tradition. Across the twentieth century, many liberals articulated a distinct set of meanings, values, practices and prescriptions under the moniker of liberalism, claiming to be the true heirs of a liberal heritage with an accompanying list of genealogical heroes and villains, prophets and charlatans. The strength of the book is in challenging some of the presuppositions regarding where to look when embarking on this endeavour and revealing some of the historical depths of why we have become muddled with these assumptions. Which liberalism has greater claims to rule the present is often unclear, premised on what is perceived to be threatened and receding from view. The problem is that some histories are irretrievably lost and some are more complex than the stories we tell as we try to piece a tradition from fragments, given the shifting and incompatible definitions and accounts of liberalism’s history. Liberalism has perhaps always been an elusive tradition. Alex Tebble is a PhD student in Politics at the University of York. The title of his research is ‘On the Genealogy of Liberalism’.